Dr. Noel Daniel Jeyasekharan was born on 15-03-1925 to Dr.J.N.Daniel and Mrs.Annilet Thayammal Daniel. He was their 5th child. His father Dr.J.N.Daniel was from Agasteeswaram. His mother Mrs. Annilet Thayammal was the daughter of Rev. J.N. Ambrose who comes from a renowned family from Ananthanadarkudi and Santapuram. Rev. J.N. Ambrose served as a Chief Pastor in the Nagercoil Home Church. Dr.N.D.Jeyasekharan’s father Dr.J.N.Daniel settled down in Nagercoil at Kottar. His hospital at Kottar was called Jeya Bharathi Hospital. Dr. Jeyasekharan had 4 sisters 3 elder and 1 younger and one elder brother. Dr.N.D.Jeyasekharan had his schooling in the Home Church School and Scott Christian High School, Nagercoil. He and his sisters used to come in a horse driven carriage from Kottar to Nagercoil. At the age of 12 Dr.N.D.Jeyasekharan lost his father suddenly. After the untimely death of his father the family shifted to their maternal grand father Rev. Ambrose’s house for a few years. Dr.N.D.Jeyasekharan completed his intermediate at Scott Christian College and his B.Sc. Zoology from University College – Trivandrum. After that he joined the U.T.C. a paramilitary Corp. where he opted for the airforce. He had the opportunity to get trained in Piloting small aircraft. He took pride in saying that he flew from Trivandrum to Cape Comarin over his house site in Nagercoil with a Co-pilot. Because of family pressure he left U.T.C to try for a M.B.B.S. seat. He worked in American College Madurai for one year as a Zoology Demonstrator and then joined M.B.B.S. 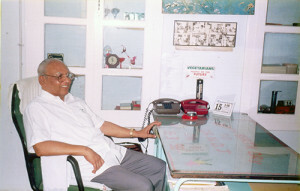 in Madras Medical College where he completed his course and did his House Surgency. He started his Medical career at Catherine Booth Hospital (CBH) under Dr.Noble an American Missionary who trained Dr.Jeyasekharan to become a hardworking self confident Medical Officer. In CBH, he also had the privilege to work under Dr.Stevens and Dr.Henry William from U.K. It was while working at CBH he married Manohara Rani on 30th December 1953. Manohara Rani was the daughter of Dr.G.M. Samuel who served in Attingal Mission Hospital and Mrs.Annammal Samuel who comes from the well known Rev.Joshua family of Nagercoil. 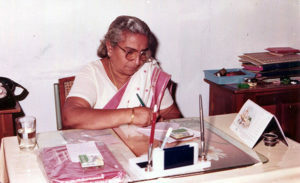 Mrs. Rani Jeyasekharan was the 3rd daughter among 5 sisters and 1 younger brother. She holds a Post Graduate Degree in Zoology from University of Kerala, Trivandrum. On October 12th 1954 they were blessed with their eldest child Devaprasath. Later in 1955 they had their second child Sabu. In 1956 Dr. Jeyasekharan left C.B.H as he was offered a CSI Mission Scholorship for Leadership training in U.K. After attending 10 months of Intensive Coaching in Trivandrum Medical College in the Department of Anatomy he went to UK in 1957. He completed his FRCS (Edinburgh) in record time and returned to India in 1958. On returning he joined the Mission Hospital Neyyoor, where he worked hard and earned a good name for the hospital and himself. It was during his tenure that the 125th anniversary of the hospital was celebrated on a grand scale with many dignitaries like Dr.P.V. Cherion (Former Governor of Maharastra) & Mr.V.V. 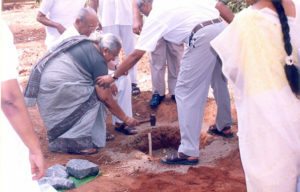 Giri (Former President of India) participating in the functio n. . The local people gave full cooperation. It was while he was in Neyyoor Hospital that the Mission was able to buy the land adjoining the hospital where the International Cancer Centre now stands. Also the Nagercoil Mission Hospital was re-opened during his time in Neyyoor. While at Neyyoor, Ranjit, Jaishree and Jaikumari – his three younger children were born. Due to personal reasons he left the Neyyoor Mission Hospital in 1965 and moved to Nagercoil and started his own practice. The hospital was started on a Modest Scale in 1965 at a relative’s house in Henry Lane. In the mean time an outpatient clinic was started at a place opposite the Municipal Park. Patients began coming and the need for an inpatient ward and a good surgical set up was felt. 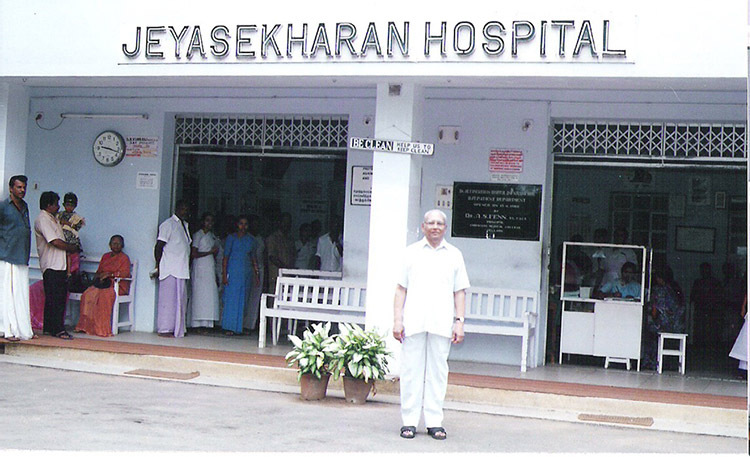 So in 1967 the Jeyasekharan Hospital and Nursing Home was built and inagurated by Dr. A. Asirvatham his own teacher. It was sheer hard work and blessings of patients which enabled the institution to grow to its present status. cleanliness wherein there was no compromise. With the support and loyal assistance of dedicated staff Mr.A.Sunderaj, Sr.Anselina Sunderaj and later Sr.Roselette Chellappa and Junior doctors like Dr.Vaithialingam, Dr.Rengaswami and Dr.P.M.Manoharan, and the blessings of the patients the hospital began to grow. After his sons finished their studies and took up responsibilities in the hospital Dr.N.D.Jeyasekharan accepted the post of Correspondent of the C.S.I. Matriculation School. During his tenure the school metamorphosed from a Matriculation school to a Higher Secondary School and brought out good students and it became one of the best in town. From the donations of friends he could add buildings to accommodate the increasing number of students. This new venture became his pet project and a success. God’s great hand was there to guide him. He was a good Tennis and Volleyball player – captaining the teams often in his college days. Being always conscious of his physical health he took to regular exercise, long quick walks and yoga. When he and his other Dr. friends started The Doctor’s family Club he was a regular badminton player. He was a member of the Rotary Club of Nagercoil, Founder member of the Senior Citizens Forum, Founder member of Friends of Nature Society, Patron of Kanyakumari Institute of Sports and Adventure (KISA) and a member of the I.M.A. He was associated with many public organizations and the churches. He was for some years President of the Y.M.C.A. of Nagercoil. He was an active participant in many projects concerning the welfare of the needy like flood and fire victims and war victims. He was a good public speaker and writes letters to Newspapers highlighting public interests. He built 6 bus shelters in the town for the convenience of the public. He was interested in rearing poultry, cattle etc. He had in the house an aviary where he used to keep mynas, parrots, guinea fowls, geese and ducks etc. There were about 40 cattle and so he had a Bio-gas plant constructed which catered to the needs of the house. Even after his illness, he used to visit the hospital regularly to meet his staff, talk to his old patients and to read medical journals. Dr. Jeyasekharan’s sons, Dr.Devaprasath, Dr.Sabu and Dr.Ranjit are carrying on the good work and legacy of their father. 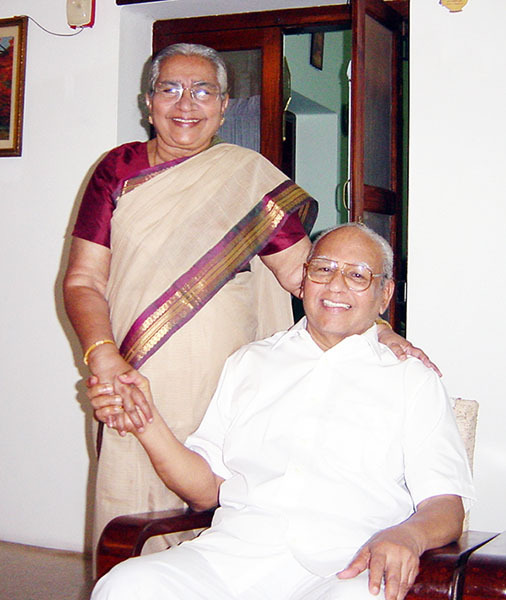 Mrs. Manohara Rani Jeyasekharan, the wife of Late Dr.N.D Jeyasekharan was born on 21st December 1927 in Nedugolam. 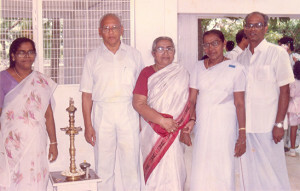 She was the principle figure in aiding Dr.Jeyasekharan in founding Dr.Jeyasekharan Hospital and Nursing Home in 1965. She completed her schooling in Attingal and Scott College, Nagercoil. After which she did her B.Sc. and M.Sc. in Zoology in University College Trivandrum. Upon completing her M.Sc., she taught as assistant professor in WCC Madras for one year and in Scott Christian College Nagercoil. She received a scholarship to study at the prestigious Princeton university in USA but sacrificed that dream to get married. It was this sacrifice that eventually would be a blessing to many in and around Nagercoil. 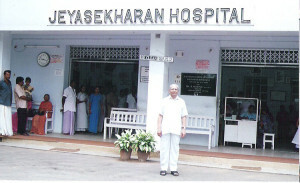 Dr. Jeyasekharan Hospital and Nursing home was founded by the late Dr.N.D. 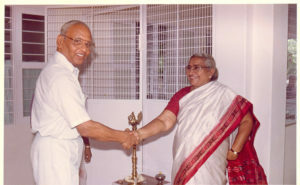 Jeyasekharan and Mrs. Rani Jeyasekharan in 1965. When they started times were difficult but their confidence, hard work and good will of friends and relatives helped them through. With great dedication 50 patient’s rooms, operation theatre and labour room and a general ward were built. 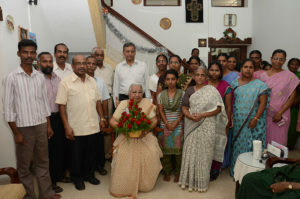 Mrs.Jeyasekharan supervised the building up and running of the hospital at every stage. 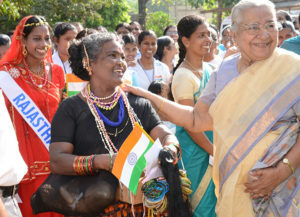 She held a honorary post of both Dr.Jeyasekharan’s assistant and her job description included house keeping, public relations, construction supervising, purchase, staff welfare, human resource, facility management, nurse, mother and wife. The role played by her as co-founder was intangible but phenomenal. Mrs.Jeyasekharan was also actively involved in various social organisations such as Inner Wheel club, Maadhar Sangam and YWCA. She was a generous philanthropist who was always providing support and encouragement where needed. She was indeed the force that enabled a small hospital that was started 50 years ago grow into an ISO 9001:2008 Bureau Veritas certified and NABH accredited multi-speciality institution. She was supported by a team of dedicated and loyal staff who continue to be a blessing to the organisation and will keep hers and Dr.Jeyasekharan’s dream alive.